In a sprawling metropolis like Houston, the restaurant scene is as varied and interesting as the city itself – and it doesn’t easily fit into neat categories. 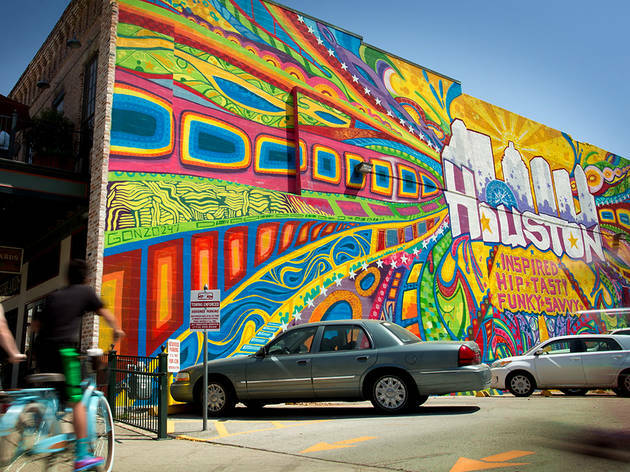 Besides, not only is Houston the fourth largest city in the United States (with loads of things to do to prove it), but it's also home to food as diverse as the people within its vast geographical scope. 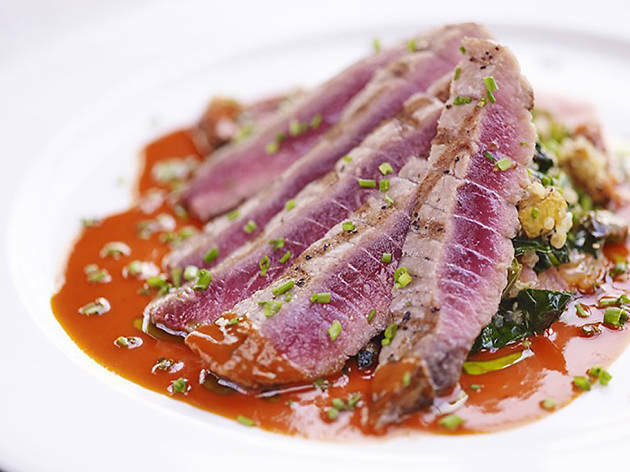 For Bayou City, think beyond multi-course meals at meticulously designed Downtown destinations. Tex-Mex, barbecue and Gulf Coast seafood are musts – but so are top-notch New American/Texan spots and the multi-faceted flavors of the city’s international residents. So if you want to get a taste of local flavour, then you're in luck. Get your knives and forks ready, because here's our list of best restaurants in Houston. 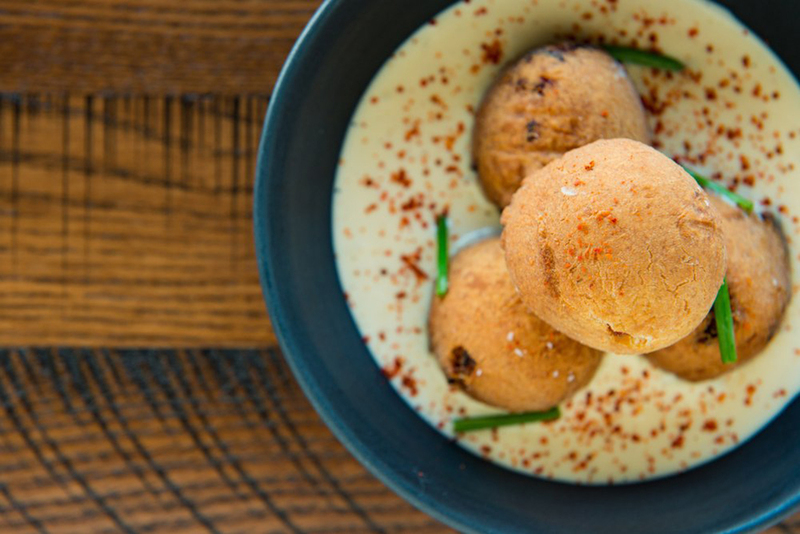 What is it: Executive chef Hugo Ortega is a Houston culinary powerhouse and his swanky downtown Oaxacan restaurant on the first floor of the Marriott Marquis Houston represents his latest, greatest hit. 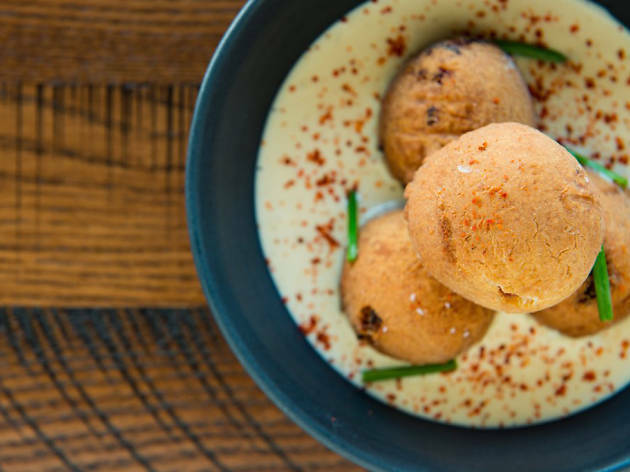 The menu focuses on the culinary traditions of Oaxaca, Mexico, and includes a variety of house-made masa and corn dishes, moles, grasshoppers and other ingredients not often seen on fine dining menus in Houston or the rest of the country. 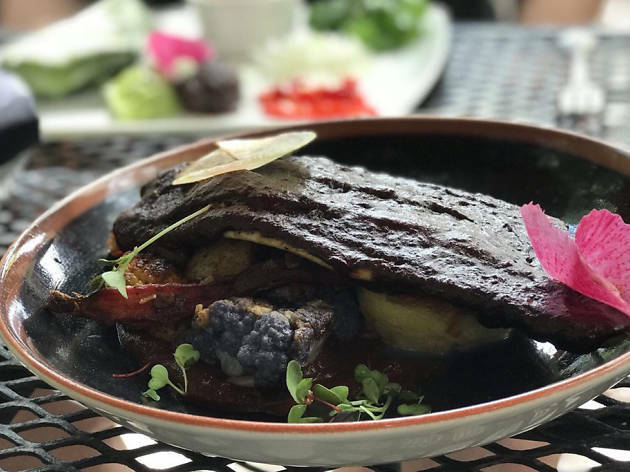 Why go: Exquisitely plated and reimagined Oaxacan dishes, impeccable service and an excellent beverage program draw well-heeled Houstonians, food lovers and hotel guests to the restaurant that won numerous accolades in just its first year. The mole tasting and churros with chocolate are must-orders, though it would be a shame to miss out on the suckling pig, sopa de piedro and Tamal de Huitlacoche. 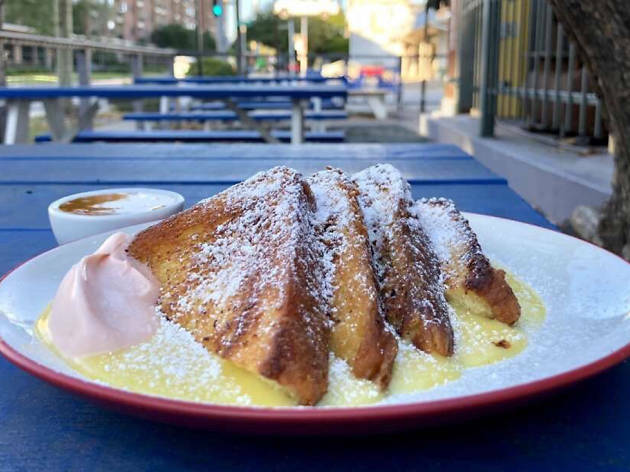 What is it: This retro-cool bistro in the burgeoning EaDo neighborhood delivers on-point shared plates, innovative cocktails and a nice natural wine list. The relaxed atmosphere feels modern and smart, with great service and a reel-to-reel tape player producing background music at just the right level. Why go: This cozy spot is just as good for a weeknight dinner as a late Saturday night drink at the bar. In addition to neighborhood residents and the city’s foodie set, it’s a place where industry professionals eat and drink when they’re not on the clock. Must orders include the pan-fried rabbit “wings,” lamb tartare and the namesake Nancy Cakes with house-made whipped butter and roe. What is it: Housed between industrial buildings and artists’ lofts, the tiny 31-seat restaurant offers a unique dining experience focused on well executed plates made with local, seasonal ingredients alongside one of the city’s most interesting wine lists. Why go: The menu changes often based on seasonality and availability of local farm offerings, so the food is always fresh and innovative. Because of the limited space, it’s best for those dining in pairs, as the restaurant’s single large table seats 5-6 people and reservations go quickly. No reservation? Call the restaurant for estimated wait times, as they keep tables open for walk-ins. What is it: Sometimes, you want to be wowed in an intimate fine dining setting. Some other times, you want to wear jeans and enjoy a chef-driven entrée without the fuss. The Pass and Provisions was designed to provide both experiences under a single roof, with intricately presented dinner tasting menus at The Pass and à la carte options for brunch, lunch and dinner at Provisions. 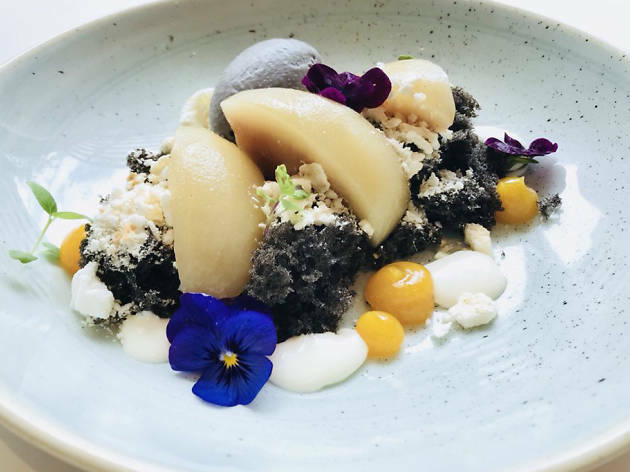 Why go: For those looking for a fine dining experience, the $65 five-course tasting menu (sans drink pairings) at the Pass is hard to beat for style and price. Provisions is a great place to take larger groups for dinner, as the wide-ranging menu will include something for everyone, including pizzas cooked in the restaurant's large wood-burning oven. What is it: The authentic Mexican restaurant that bears chef Hugo Ortega’s name is a Montrose mainstay that continues to wow on a national scale. Housed in a redone historical building, the Latin-inspired interior pays homage to Ortega’s traditional Mexico while simultaneously boasting a contemporary and upscale fine dining feel. 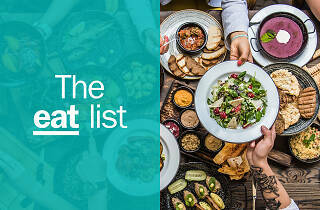 Why go: The menu offers scratch-made dishes in a traditional style from many regions of Mexico, along with an extensive tequila menu and excellent cocktail list. While dinner service is always a good idea, the Sunday brunch buffet offers the best bang for your buck at $35 per person. Dessert and cocktails are included, and diners eat and drink to the sounds of live music provided by house band Viento. 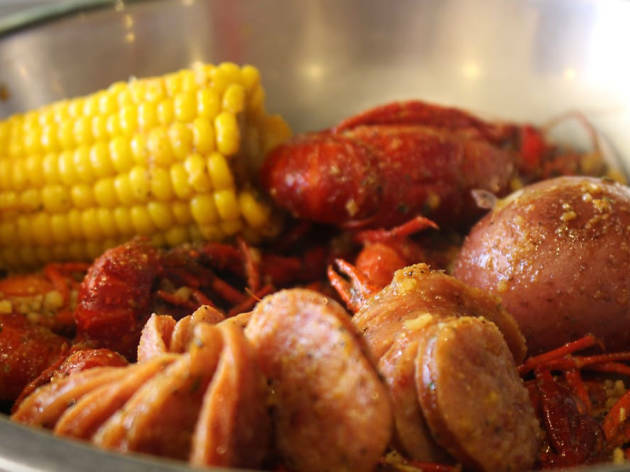 What is it: Nothing says Houston like spicy Viet Cajun-style crawfish, and this Asiatown staple introduced the dish to hungry residents before Andrew Zimmern’s Bizarre Foods and David Chang’s Ugly Delicious brought the larger world’s attention to chef Truong Nguyen, who earned a James Beard semi-finalist nod in 2018. Why go: During crawfish season, it’s criminal not to order the namesake dish, a stir-fried buttery garlic delicacy with just the right amount of spice. Other worthy dishes include stir-fried blue crab, chicken wings and bo luc lac, a stir-fried beef with rice dish. No need to dress up for this casual West Houston spot; just take a group for maximum ordering capacity. What is it: The city is known for reinventing itself when necessary, and chef Chris Shepherd epitomizes this in his high-end Montrose restaurant One Fifth. Built around a rotating concept that will terminate in a total of five years, the restaurant pivots annually to a completely new theme and menu focus. Previous iterations include a steakhouse and a focus on French/Spanish/Italian cuisines. Why go: The limited time period for each concept is intriguing enough to warrant a visit but the restaurant wouldn’t survive if the food and beverage program wasn’t as stellar as the founding idea. 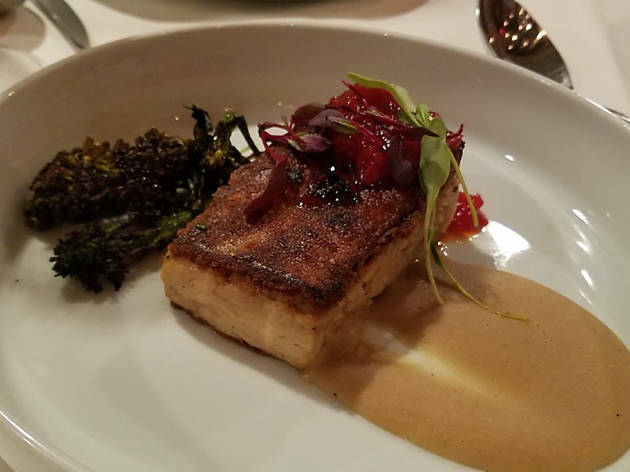 Often a fine-dining celebration spot for birthdays and anniversaries, an excellent happy hour program offers a good deal for those that want a taste of the concept without the expensive investment. What is it: Pronounced like the word "win" with a subtle h at the beginning, this family-owned restaurant offers a variety of delicious dishes inspired by food from the owners’ hometown of Quang Ngai in Central Vietnam. Why go: There are lots of Vietnamese places to choose from in Houston, but the friendly staff and cozy family environment make Huynh stand out. The staff helpfully guides patrons in their ordering, especially those unfamiliar with the menu offerings. Ask about the bun bo hue and drink a salty lemon soda called soda chanh muoi. What is it: The vibe is casual but the food and drinks are next-level at this Heights neighborhood spot from Houston stars Bobby Heugel and Justin Yu. What started as a buzzy cocktail bar with an elevated food menu quickly became a destination spot, earning a place on Food & Wine’s Restaurant of the Year list in 2018. Why go: The community feel and patio space, coupled with an innovative brunch menu, make this a great Saturday and Sunday brunch destination. 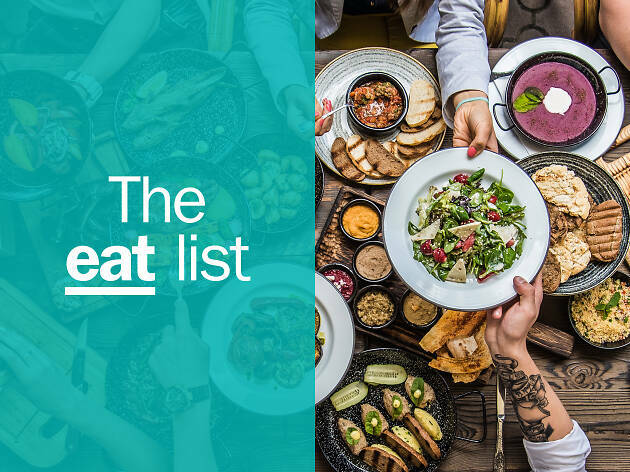 But the regular menu is equally tempting and ordering The Cycle allows a group of 4-6 people to sample every delicious food item for $99 in total. If time and tummy space are limited, opt for the Korean hot fried chicken or the decadent party melt. 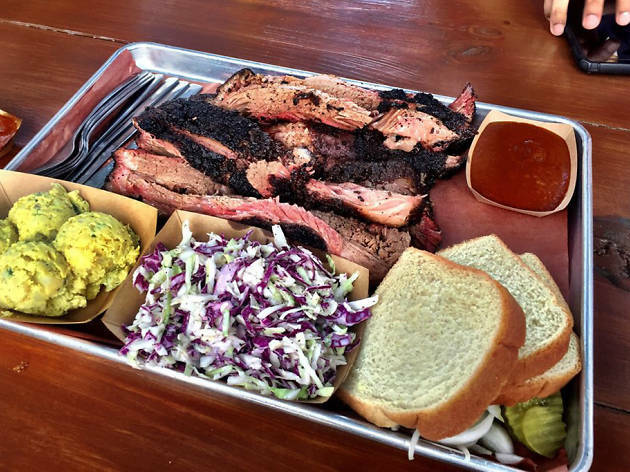 What is it: Pit barbecue in Texas is a must, and Houston has its fair share of award-winning contenders. Though Pinkerton’s has only been open since 2017, it’s already a local favorite that has earned a spot on plenty best of lists. Why go: Lines and restrictions are legendary for barbecue joints in Texas but, thankfully, this doesn’t apply to Pinkerton’s. There are no complicated rules to ordering and you can enjoy a leisurely meal without the fuss of lines wrapped around the block. Ordering the beef brisket with a side of jalapeño-cheese rice is a necessity and if you’re with a hungry crowd, the beef and pork ribs and duck and sausage jambalaya make nice additions, too. What is it: This butcher shop and steakhouse occupies a remodeled 1922-era bakery building that features original wooden beams, exposed brick walls and steel columns. During the day, the attached deli and butcher shop slings sandwiches and house-made cold cuts, while the restaurant offers hamburgers, pastas and salads for lunch. For dinner, the upscale steakhouse serves all the classics but expands the menu with unexpected appetizers, sides and mains. Why go: With plenty of high-end steakhouses to choose from, B&B stands out with its large menu and undeniable local character. To start, order the carpet bagger oysters and bacon three ways for the table, then dive into a classic steak cut or chicken fried pork chop. What is it: This Montrose-based neighborhood restaurant represents a unique culinary perspective from executive chef and co-owner Ryan Lachaine. 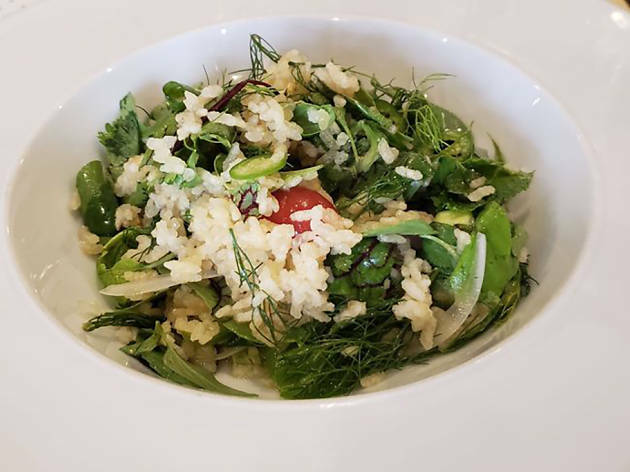 The stellar made-to-share menu takes inspiration from local ingredients and the Gulf Coast, with elements of the Lachaine's Ukrainian and French-Canadian background. Why go: The rotating menu features dishes that make eating out feel like a worthy expedition, especially if you order across national boundaries and pair dishes with picks from the excellent cocktail list. Order the Montreal smoked meat plate to start, plus a Gulf Coast seafood dish and pierogis with horseradish cream for a well-rounded meal—plus dessert, of course. What is it: After changing Houston’s restaurant scene for the better with his Montrose restaurant Underbelly, chef Chris Shepherd pays homage to ingredients and cultures that have shaped his perspective on cooking. Through his food, Shepherd asks his customers to experience not just Houston’s flavor, but its culture as well. Why go: The menu represents the many cultures that make Houston unique, so a meal here feels like a trip around the world. You can expect to try mouthwatering dishes from pork dumplings and duck egg curry to grilled octopus and salt and pepper squid. Hungry for more? 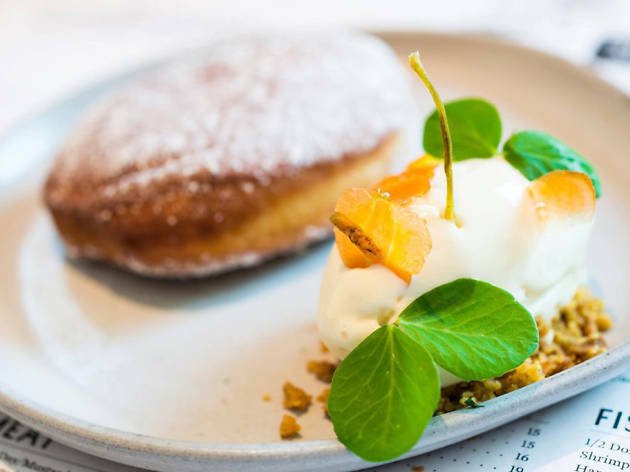 There are some pretty delicious desserts on offer, too (we see you, Calamansi Pie). 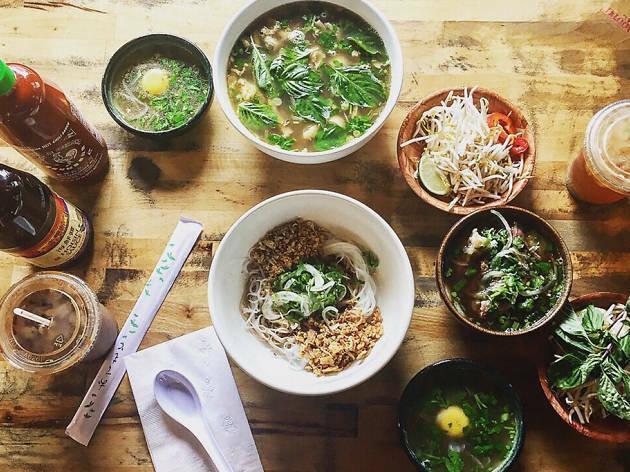 What is it: This fast casual restaurant, a spin on local favorite Les Baget, specializes in pho but brings a Texas twist to its offerings. 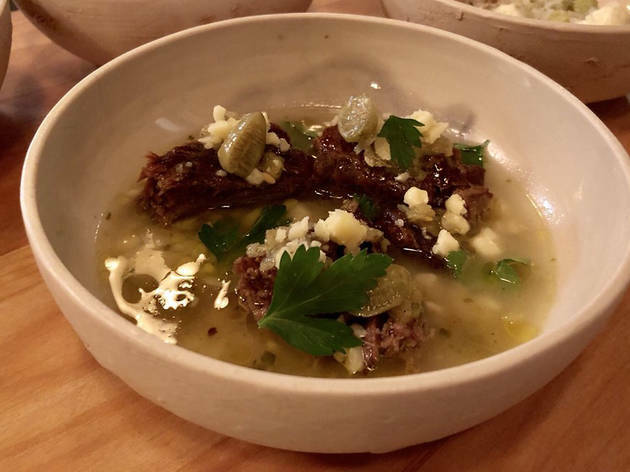 Space is limited at this small Montrose eatery but any wait is well worth it for a bowl of aromatic broth simmered for 24 hours. Why go: There are lots of solid options for Vietnamese food and pho in the city but the creative ingredients and variety of options make Les Noodle stand out from the crowd. The build-your-own bowls give diners a choice of up to six toppings in the standard beef bowl. Chicken and vegan pho round out the menu. 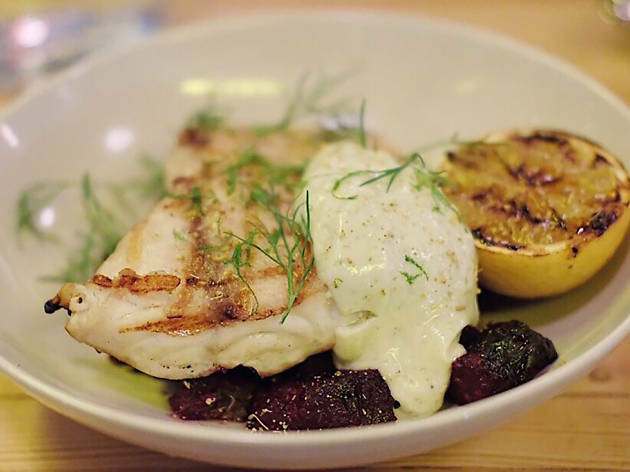 What is it: This perennially popular restaurant from Agricole Hospitality is a Heights neighborhood favorite that draws crowds from all over the city with its take on Italian classics prepared with a Gulf Coast perspective in mind. Seasonal ingredients dictate the menu, many of which are grown in the restaurant’s lovely attached garden. Why go: A no-reservations policy and always bustling crowd mean long wait times during peak hours and weekends but enjoying a cocktail in the garden can take the edge off. Order one of the pizzas to share and at least one of the rotating salads in addition to a Gulf Coast entrée. 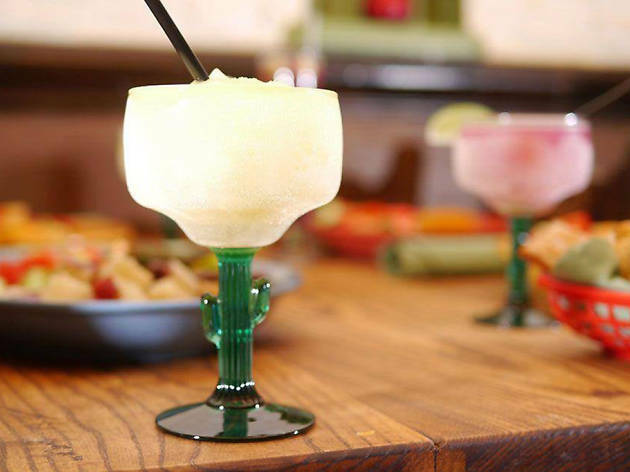 What is it: This family-run spinoff of beloved Houston Tex-Mex institution Ninfa’s carries on the legacy of Mama Ninfa, whose claim to fame was introducing fajitas to the United States in 1973. Why go: Though slightly pricier than some of the city’s Tex-Mex establishments, the quality of the food, festive environment and reliable great service make this a favorite for locals looking for their Tex-Mex fix. Order classics like cheese enchiladas and sizzling fajitas, and make sure to pair them with a margarita (or three). What is it: Opened in 2017, Nobie’s may not have the history of other eateries on this list, but that's certainly no reason to dismiss it. Named after executive chef Martin Stayer’s grandmother, this homely spot is effortlessly charming. Like a well-kept secret, it's tucked away on a neighborhood side street – in a quaint bungalow. 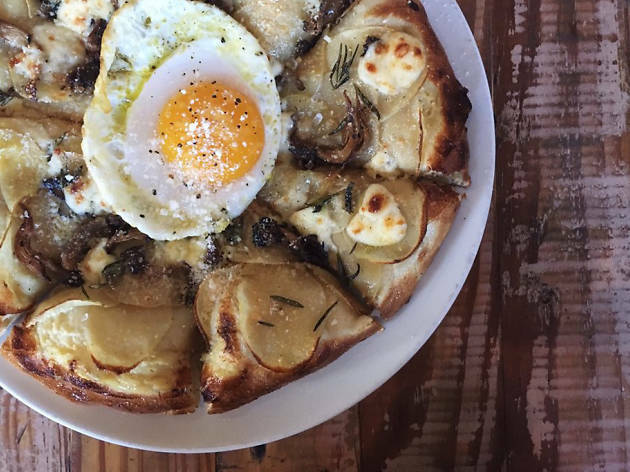 Why go: Stayer’s warming and home-style menu elevates comfort food to a whole new level. Since the rotating menu offers several perfect-for-sharing small plates, it's a perfect spot to meet a friend and catch up over food and cocktails. Our recommendations? 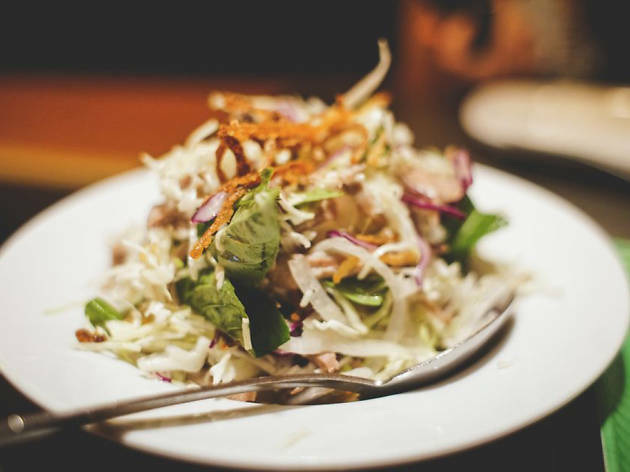 The Texas tartare, old-fashioned chicken liver mousse and any of the salads.rospective P diners take note – Nobie’s doesn’t take reservations, so don't be surprised about waiting for a table if you plan on eating with a large group. But trust us, it's worth it. What is it: This unassuming restaurant in an Asiatown strip mall specializes in delicious Vietnamese street food from the central city of Hue. The family-run establishment’s friendly staff and very reasonable prices make this a destination-worthy spot despite the driving distance. Why go: Though it’s perfectly fine to dine alone or as part of a duo, bring a group to justify ordering the many delicious small plate options. 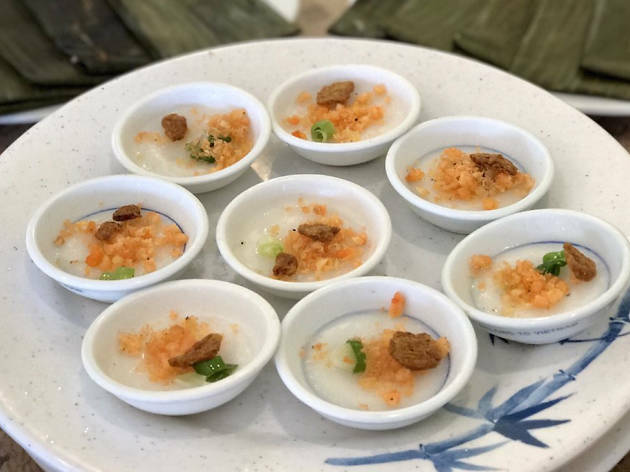 Order the banh beo steamed rice cakes appetizer combo platter, which includes all three varieties of the house specialty cakes: banh nam, banh bot loc la and banh beo. Pro tip: pick up a bag of pork floss for the road on your way out. 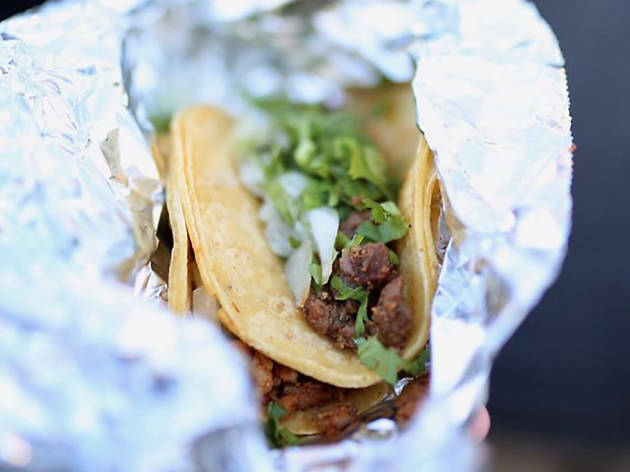 What is it: This no-frills, cash-only taco truck in Montrose serves what many consider to be the best tacos in the city, which locals enjoy with cold beers at adjacent West Alabama Ice House. Why go: Locals flock to this low-key outdoor watering hole to drink cold beer, eat cheap and tasty tacos, play yard games and cheer on Houston sports teams. 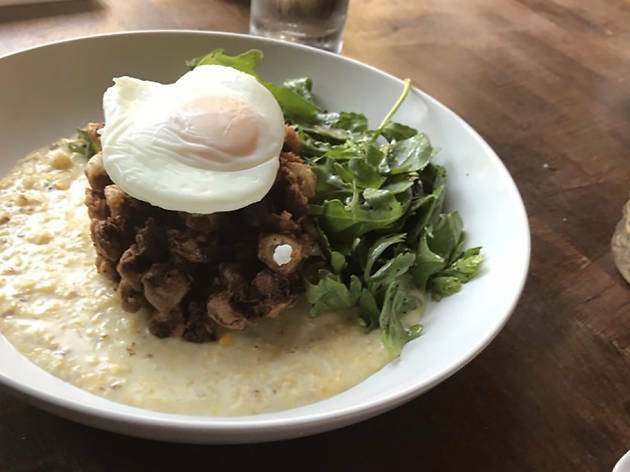 The very casual neighborhood spot is a destination for a range of regulars that belong to motorcycle crews, young families and everyone in-between. Word to the wise: Tacos Tierra Caliente’s salsa is very spicy and not for the faint of heart—so beware. What is it: This neighborhood greasy spoon has long ceased to be a grocery store but stayed in business serving enormous breakfasts and old-fashioned burgers. Continuously operating since 1934, the casual, cash-only joint still resides in an old house in Midtown. Why go: The early hours and lunchtime burgers draw neighborhood crowds to the kitschy mom-and-pop restaurant. 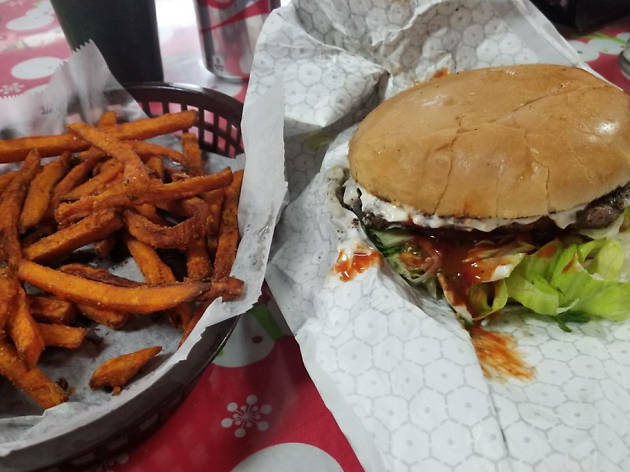 Order the old fashion hamburger if you’re feeling classic and the spicy firehouse burger to follow in the footsteps of Guy Fieri. 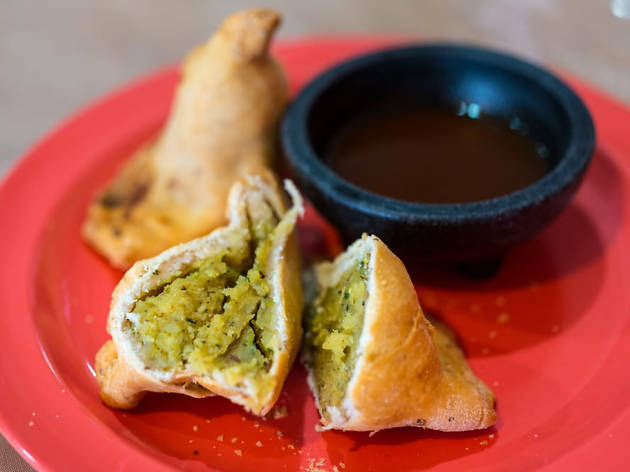 What is it: This Houston institution near the Southwest Freeway offers an Indo-Pakistani menu with a few Texas twists. Proprietor and Karachi native Kaiser Lashkari has been serving mouthwatering dishes for 30 years at the small strip-mall restaurant that fills up quickly during peak hours. 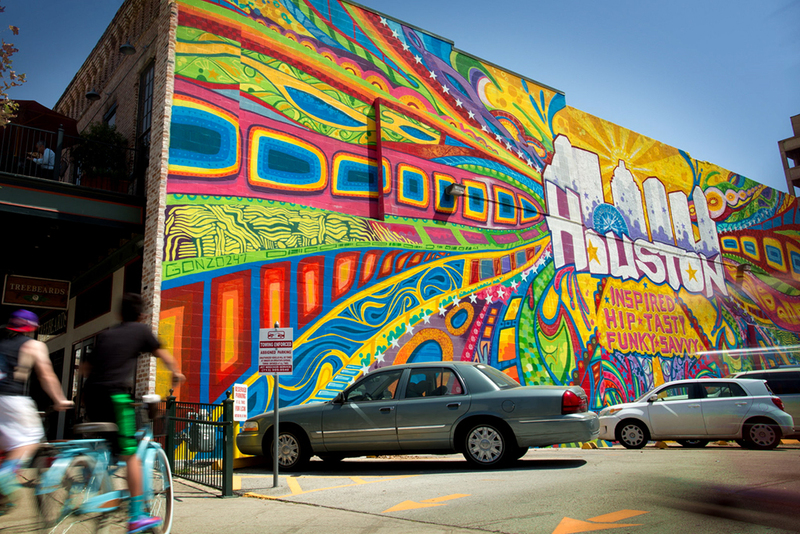 Why go: Himalaya draws a loyal clientele as diverse as the Bayou City to its no frills space. What the restaurant lacks in ambience, it makes up for in delicious food. Order the pillowy garlic naan, chicken hara masala, Hunter’s beef plate and Himalaya fried chicken.